Mysteries don’t solve themselves…or do they? Sometimes a good detective can make a mystery unravel itself in the most peculiar way. Coincidence or Clue? Perhaps both? 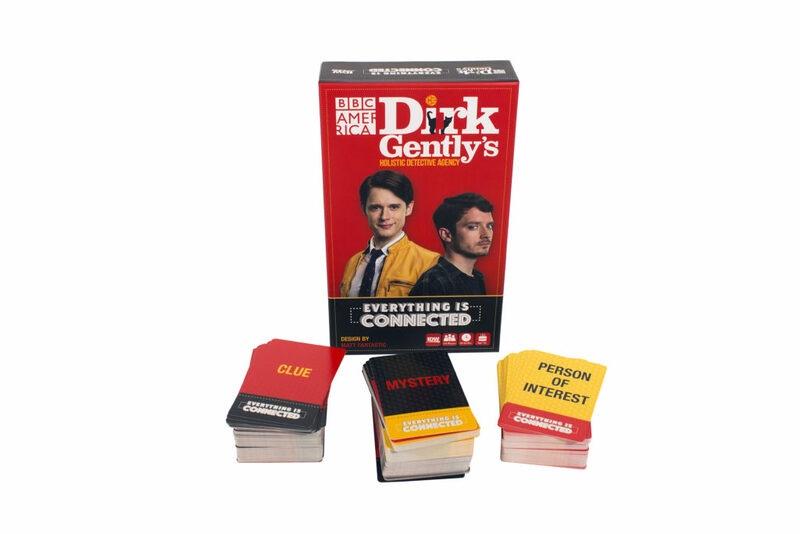 Dirk Gently’s Holistic Agency: Everything is Connected, is played over a series of Rounds. In each Round, 2 players – the Holistic Detective and the Police Detective – must both solve a Mystery by explaining which suspect was responsible, using Clues provided by the Assistants. The Detective that best solves the Mystery, according to the Assistants, wins a point. 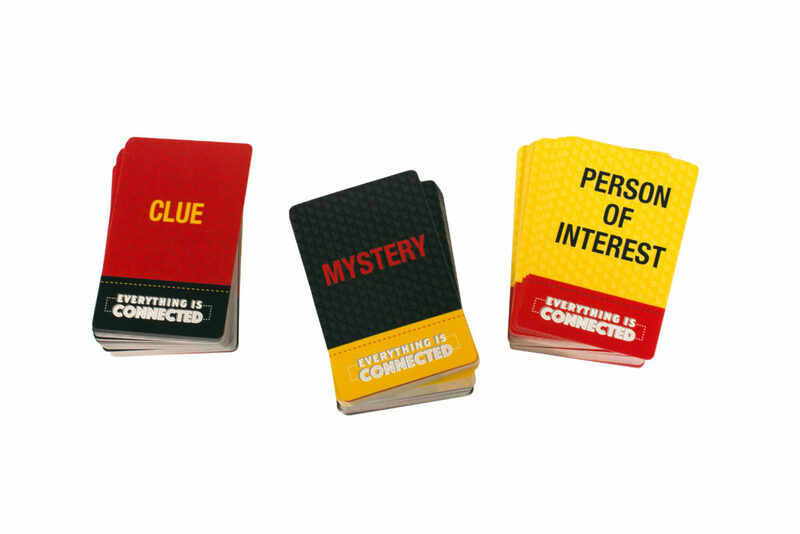 Rounds continue until every Player has solved two Mysteries as the Holistic Detective. The game ends at the end of the Round after all Players have been the Holistic Detective twice. The Player with the most points (Mystery Cards) wins the game! If there is a tie, the tied Players must compete to solve a final mystery. If they receive the same number of votes for this final mystery, a time paradox opens and somehow they are both right and they both win! Do you have what it takes to solve the case? Check out Dirk Gently’s Holistic Agency: Everything is Connected, designed by Matt Fantastic, Available in stores now!